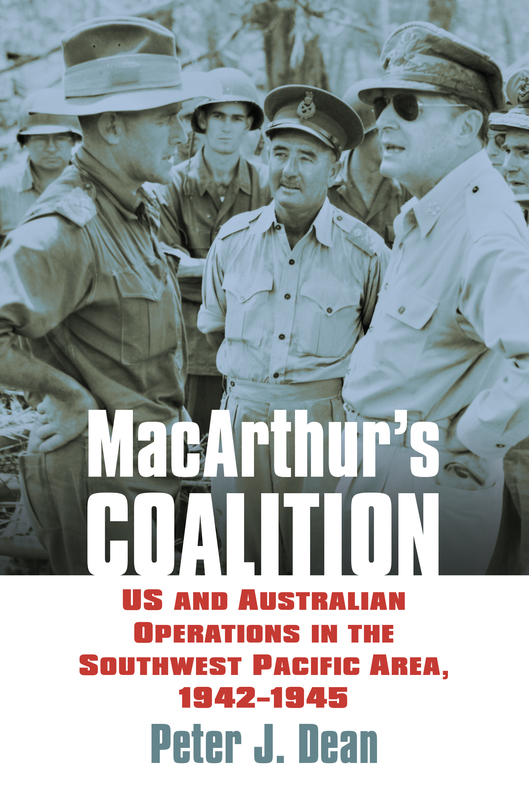 With its unprecedented view of the joint nature of operations in the Southwest Pacific and its focus on frontline commanders and units in forging a successful fighting force, MacArthur’s Coalition illuminates a critical aspect of the Allied victory in World War II. Peter J. Dean is Professor and Pro Vice-Chancellor Education at the University of Western Australia. His many books include The Architect of Victory: The Military Career of Lieutenant-General Sir Frank Horton Berryman, Australia 1942: In the Shadow of War, and, most recently, as editor, Australia 1944–45: Victory in the Pacific.